Type 1 diabetes mellitus is one of the most common chronic diseases in childhood. It develops through autoimmune destruction of the pancreatic beta cells and results in lifelong dependence on exogenous insulin. The pathogenesis of type 1 diabetes involves a complex interplay of genetic and environmental factors and has historically been attributed to aberrant adaptive immunity; however, there is increasing evidence for a role of innate inflammation. Over the past decade new methodologies for the analysis of nucleic acid and protein signals have been applied to type 1 diabetes. These studies are providing a new understanding of type 1 diabetes pathogenesis and have the potential to inform the development of new biomarkers for predicting diabetes onset and monitoring therapeutic interventions. In this review we will focus on blood-based signatures in type 1 diabetes, with special attention to both direct transcriptomic analyses of whole blood and immunocyte subsets, as well as plasma/serum-induced transcriptional signatures. Attention will also be given to proteomics, microRNA assays and markers of beta cell death. We will also discuss the results of blood-based profiling in type 1 diabetes within the context of the genetic and environmental factors implicated in the natural history of autoimmune diabetes. Type 1 diabetes is a T cell-dependent autoimmune disease that arises from targeted destruction of the insulin-producing pancreatic beta cells. It is characterised by lifelong insulin dependence, an increased risk for the development of secondary complications, and reductions in the quality and duration of life. The pathogenesis of type 1 diabetes begins early in life and progresses subclinically over a period of years . During the course of the disease, failures in central and peripheral tolerance mechanisms allow for activation/expansion of autoreactive T cells , as well as other immune cell types, including B lymphocytes, as evidenced by the development of autoantibodies against islet autoantigens in the majority of patients . While beta cells may persist in patients with established type 1 diabetes , clinical onset is thought to occur after loss or functional impairment of an estimated 50% or more of the beta cell mass . Type 1 diabetes onset can occur at any time of life, even in old age . However, >50% of diagnoses are made in individuals under 20 years of age, at an incidence of ~19 per 100,000 [7, 8], making type 1 diabetes one of the most common childhood chronic diseases. Although paediatric-onset type 2 diabetes is becoming more common, type 1 diabetes continues to be the most common form in children, accounting for ~90% of all paediatric diabetes diagnoses [9, 10]. Type 1 diabetes is a complex disease that arises through interactions between incompletely defined genetic, epigenetic and environmental factors, culminating in altered innate and adaptive immune functions. While it is a polygenic disease, the greatest genetic contribution is conferred by the HLA locus, specifically the DRB1*03-DQB1*0201 (DR3) and DRB1*04-DQB1*0302 (DR4) haplotypes. These HLA haplotypes are observed in >90% of type 1 diabetic patients  and are associated with other autoimmune diseases , yet are carried by ~40% of the Europid population. It is hypothesised that these high-risk alleles have been evolutionarily selected for their ability to present a broad range of microbial peptides to T cells . However, this potential survival benefit has been seemingly retained at the cost of increased presentation of beta cell self-antigens. In contrast, certain HLA alleles, such as DQB1*0503, *0601, *0602 and *0603 are protective and are rarely observed in type 1 diabetic patients . There are now >40 identified non-HLA loci that confer lesser levels of increased risk , and many of these mapped regions contain candidate genes that encode proteins governing immune responses (PTPN22, IL2RA, SH2B3, PTPN2, CTLA4 and UBASH3A), including responses to beta cell antigens (INS) or to infectious agents (IFIH1) . In addition to genetic susceptibility, the pathogenesis of type 1 diabetes involves the contribution of environmental factors, which is reflected by disease concordances of <100% among monozygotic twins . Importantly, the global incidence of type 1 diabetes has been increasing by 2–3% per year, with the most rapid increase occurring among the youngest children (<5 years of age), an age group in which the incidence is anticipated to double within the next decade . These epidemiological changes are too rapid to be accounted for by genetics alone and support the existence of new or changing environmental stressors that potentiate beta cell autoimmunity [17, 18]. Evidence that the proportion of ‘high-risk’ HLA genotypes in new-onset has decreased over time supports this idea [19, 20]. Viruses have long been considered an environmental trigger for type 1 diabetes in genetically susceptible individuals (reviewed in [21, 22]). While conclusive proof has remained elusive, epidemiological studies support a role for viruses, as the incidence of the type 1 diabetes varies with season and birth month [23, 24]. Numerous studies have shown a higher rate of enterovirus infection among patients compared with controls (reviewed in ) and immunohistochemical staining studies have detected the enteroviral capsid protein VP1 at a higher frequency in islets of patients with new-onset diabetes compared with controls . By serology, coxsackie B1 virus has been associated with an increased risk of beta cell autoimmunity  and in vitro human islet studies have reported that this virus preferentially infects human beta cells vs alpha cells, consistent with the selective beta cell demise seen in type 1 diabetes . Finally, coxsackievirus has been shown to persist in the pancreas due to N-terminal deletions in its genome , consistent with a role in maintaining beta cell autoimmunity. Dietary influences are also implicated in the pathogenesis of type 1 diabetes. These include the duration of breastfeeding as well as the timing of the introduction of cows’ milk, cereal and gluten during childhood [30, 31, 32, 33]. However, recent data from the BABYDIET and Trial to Reduce IDDM in the Genetically at Risk (TRIGR) studies indicate that diet alteration does not directly lower the incidence of seroconversion or type 1 diabetes [34, 35]. The intestinal microbiome, governed by variables including host genetics, dietary influences and antibiotic use [36, 37, 38], has emerged as an important environmental influence. Several studies have measured differences in the microbiota of type 1 diabetic patients compared with healthy controls [39, 40, 41, 42], as well as changes in the microbiota during the progression of diabetes, specifically between the time of seroconversion and clinical onset . Beta cell autoimmunity has been associated with changes including reduced microbial diversity and a reduction in the bacterial phylum Firmicutes relative to Bacteroidetes [42, 44]. These changes encompass a lower abundance of butyrate-producing genera, an important variable in the development, stability and function of regulatory T cells (Tregs), which are vital in maintaining immune tolerance (reviewed in ). Numerous studies have reported that diet and the composition of the gastrointestinal microbiome can increase intestinal permeability and promote a proinflammatory bias (reviewed in ). Notably, alterations in intestinal ultrastructure and intestinal barrier dysfunction have been associated with type 1 diabetes in humans (reviewed in ). Perhaps related to these observations, Oresic et al  identified metabolomic alterations among individuals who later progressed to type 1 diabetes. It is possible that the rising incidence of type 1 diabetes and other autoimmune diseases may be associated with lifestyle changes that have occurred during the last century: a high-fibre diet required for the maintenance of ‘healthy’ butyrate-producing microbiota is no longer the norm. As a consequence of the aforementioned non-HLA genetic susceptibility and/or increased or altered exposure to bacterial antigens, an elevated innate inflammatory state may now be present in a larger subset of the population, resulting in an overall larger pool of susceptible individuals, including individuals with sufficiently high baseline inflammation to bypass the historically requisite HLA haplotypes associated with the pathogenesis of diabetes. While the best measures of disease activity are likely to be in the target tissue itself, human pancreatic islets are inaccessible in living people and are too diffuse to image. In contrast, peripheral blood is highly accessible for sequential sampling, making it a practical surrogate. Furthermore, between the blood, lymphatic system and site/s of active disease, there is a dynamic exchange of cells, proteins (cytokines/chemokines) and other factors (inflammatory lipids, microRNA [miRNA] and other molecules). As such, blood sampling offers a minimally invasive means to understand and follow human disease. Here, we aim to review studies of blood-based profiling in type 1 diabetes and place these within the context of the genetic and environmental factors implicated in the natural history of autoimmune diabetes. Serum-based assays for autoantibodies to specific beta cell proteins, along with HLA genetics, have established the autoimmune pathogenesis of type 1 diabetes over the past 40 years . Islet autoantibodies usually develop in a cluster, often early in life, and the presence of multiple islet autoantibodies confers a high risk of future diabetes, estimated at nearly 85% over a 15-year span [50, 51]. Despite detailed studies of various autoantibody targets, titres, isotypes and epitopes, it has proved difficult to predict the timing of clinical onset, highlighting the need for additional biomarkers. Much effort has also been expended on measuring islet antigen-reactive immune cells in peripheral blood. Despite peptide-MHC tetramer technology, efforts to use information from islet-specific CD4+ T-lymphocytes in peripheral blood have been hampered by their low precursor frequency. Similar approaches to measuring CD8+ T cells have made progress, especially those reactive against components of preproinsulin, although assays remain challenging because of the substantial blood volumes required and the practical need to use frozen/thawed cells (reviewed in ). Similar to the situation with autoantibodies, the results from cellular assays highlight the need for additional biomarkers of pathophysiological mechanisms and clinical disease stage for type 1 diabetes. Since the late 1990s there have been major technological developments in the fields of genomics and proteomics that now enable massively parallel analyses of RNA and protein. These advances have been coupled with significant developments in computational and bioinformatics, allowing meaningful interpretation of the complex datasets that these technologies generate. The use of these tools in cross-sectional and longitudinal analyses of blood samples collected from patients and controls has offered an unprecedented opportunity to gain new insights into human disease mechanisms and to identify new biomarkers of disease risk, progression and therapeutic response. The most extensively applied blood-based approach strategy has been to directly measure the transcriptome of whole blood, peripheral blood mononuclear cells (PBMCs), or PBMC subpopulations of cases and controls. This direct transcriptomic strategy has made a significant clinical impact within the field of oncology, where it has been found sufficiently accurate to diagnose and classify acute lymphoblastic leukaemia subtypes, as well as to guide the selection of the most appropriate treatment modality (reviewed in ). When applied to infectious diseases, clinically useful and mechanistically informative transcriptional signatures have exhibited species- and strain-level specificity (reviewed in ). Different microbes generate pathogen-associated molecular patterns that interact with specific host pattern recognition receptors (PRRs, such as Toll-like-, NOD-like- and RIG-I-like receptors) to activate unique combinations of signal transduction pathways, thus producing distinct transcriptional programs. Specific blood signatures have been measured in viral, bacterial and eukaryotic infectious diseases. The transcriptional profiling of patient blood cells in autoimmune diseases has revealed important mechanistic insights that have advanced therapeutic interventions (reviewed in ). A role for type I IFN in human systemic lupus erythematosus was fostered by blood-based transcriptomics, as several studies observed the over-representation of IFN-regulated transcripts in patient PBMCs . These and other observations, including elevated serum type I IFN levels and genetic association studies that identified susceptibility genes within the IFN pathway, have led to clinical trials of drugs targeting type I IFN in systemic lupus erythematosus . In rheumatoid arthritis, transcriptional profiles of PBMCs can classify disease and predict responsiveness to infliximab treatment . When applied to inflammatory bowel disease, blood-based transcriptomics were sufficiently sensitive to distinguish Crohn’s disease from ulcerative colitis and were able to identify individuals more likely to experience frequently relapsing disease [57, 58]. Furthermore, informative blood-based transcriptional profiling studies have been reported for systemic-onset juvenile idiopathic arthritis and multiple sclerosis . In type 1 diabetes, studies have described transcriptional profiles of whole blood [59, 60, 61, 62], PBMCs [63, 64, 65, 66, 67, 68] and immunocyte subsets [69, 70, 71, 72]. Each sampling strategy has advantages and disadvantages (reviewed in ). However, the interpretation of blood-based transcriptional signatures should consider the cellular composition of the sample analysed and, as with other diseases, transcriptional signatures generated from these various sampling strategies have not been rigorously compared. Kaizer et al  were among the first to compare gene expression profiles of paediatric type 1 diabetic patients with those of unrelated healthy controls. PBMCs of newly diagnosed patients exhibited an innate inflammatory transcriptional profile that included elevated IL1B, PTGS2, CXCL1, EGR2, EGR3 and TREM1 levels, which resolved in the months after diagnosis. Stechova et al  examined the transcriptional profiles of PBMCs isolated from paediatric diabetic patients, their healthy autoantibody-negative first-degree relatives and unrelated healthy controls. Interestingly, the greatest number of differentially expressed genes was identified when comparing the autoantibody-negative healthy relatives with the unrelated healthy controls, and the highest-scored immune response pathway was IL-1 signalling . These findings are consistent with the results of a study that examined monozygotic twin pairs discordant for paediatric-onset type 1 diabetes . Notably, the monocyte transcriptional profiles of twins discordant for diabetes were highly correlative with one another when compared with those of healthy monozygotic twin pairs and healthy singletons, and included increased expression of CCL2, CCL7 and CD9 . Importantly, among the twins discordant for diabetes, the non-diabetic siblings studied had a low risk of disease progression based on the lack of autoantibodies . The findings of this and other studies [67, 70] suggest that, as a consequence of common genetics and/or environmental factors, type 1 diabetic patients and their healthy relatives exhibit differential regulation of genes and pathways, particularly those consistent with increased activation of innate immune processes, in a manner distinct from that of unrelated healthy controls. A study that investigated gene expression profiles of unfractionated whole blood in paediatric new-onset type 1 diabetic patients, their autoantibody-positive first-degree relatives, and unrelated healthy controls reported that, consistent with the hypothesis of a viral aetiology, an IFN-regulated signature (that included expression of IFI27, OASL, ISG15, IFIT3, GBP1, IFIT2, IFIT1, OAS3, STAT1, RSAD2, IFI44A) was found to be associated with patients and at-risk individuals . Furthermore, blood-based transcriptomic analyses in two large longitudinal studies of at-risk infant cohorts, BABYDIET  and the Finnish Type 1 Diabetes Prediction and Prevention (DIPP) study , identified a transient IFN-driven signature in individuals prior to seroconversion and overt diabetes. More specifically, the IFN signature was found to be temporally preceded by recent respiratory infections, suggesting some degree of causality. In this context, it is possible that both those progressing to diabetes and their unaffected family members possess a heightened baseline innate inflammatory state and may tend towards a more vigorous response when virally challenged. Several studies support that direct expression profiling of blood cells may be useful in stratifying disease progression both before and after the clinical onset of type 1 diabetes [62, 71]. Whole blood profiling studies of autoantibody-positive participants in the Diabetes Autoimmunity Study in the Young (DAISY) identified a set of transcripts implicated in lymphocyte activation and function (BACH2, EIF3A, CDC20 and TXNDC5) whose expression levels were associated with various diabetes progression rates . Among patients with new-onset diabetes, deviations from a healthy monocyte expression profile correlated with poorer glycaemic control, specifically, elevated HbA1c and greater insulin requirements . As such, stratification may prove valuable in identifying those at highest risk of diabetic complications. One means by which immune cells mediate their actions is through the liberation of soluble mediators. The primary sites of immune activity in type 1 diabetes, namely the pancreatic islets and draining lymph nodes, represent a minimal fraction of body mass. Consequently, the concentration of cytokines, chemokines and other mediators may be high locally but too dilute in the periphery for direct measurement. Furthermore, measurement of a single or a few cytokines may be uninformative or even misleading because of important combinatorial effects. Our laboratory has employed an alternative approach to assay the extracellular milieu associated with diabetes susceptibility. This strategy, which was also used to study juvenile idiopathic arthritis and sepsis [73, 74], employs patient serum or plasma to induce transcriptional responses in a ‘reporter’ cell population. While various cell lines, neutrophils or islets [74, 75, 76] have been used in this type of assay, because of the breadth of expressed receptors, we have used cryopreserved PBMCs of a single well-controlled healthy blood donor as sensitive biosensors that transcriptionally respond to the dilute disease-associated factors in patient plasma. After co-culture, induced transcription is comprehensively measured with a genome-scale array and then the data are subjected to ontological analyses for quantitative interpretation in terms of inflammatory and regulatory immune activities [75, 77, 78, 79, 80, 81]. The identity of key serum mediators is then deduced from the nature of the regulated transcripts and this information is used to direct targeted follow-up studies. Since immunological responses are considered largely local events, participant immune cells may not be abundant in the periphery. This approach offers potential benefits over direct profiling of immune cells of patients and controls, including (1) restriction of the readout to that driven by the soluble compartment of potentially disease-associated factors, and (2) the responder PBMC population is derived from a single healthy donor, as opposed to immunocytes of type 1 diabetic patients, where heterogeneity in the measured transcriptional signatures, stemming from differing inherited combinations of genetic risk loci, could be expected. A possible limitation of the assay is the necessity to identify a representative responder cell population, as heterogeneity can be expected between fresh cells collected from multiple donors or successive draws of the same individual. Commercial providers now offer highly viable, cryopreserved PBMCs that are collected by aphaeresis. In a single draw of a healthy well-characterised donor, billions of cells, sufficient for thousands of assays, are collected. The availability of such cells greatly simplifies the process of testing a panel of candidates and identifying a representative PBMC donor. In our first application of this approach , we observed that the plasma of autoantibody-positive individuals with new-onset type 1 diabetes induced a partially IL-1-dependent signature consistent with immune activation and PRR ligand exposure relative to the plasma of unrelated healthy controls (uHC). This signature included induction of IL1B, CCL2, CCL7, ICAM1 and PTGS2. New-onset diabetic individuals lacking autoantibody titres were not different from their autoantibody-positive counterparts, indicating that the observed signature was independent of antibody status . Similar to the post-onset resolution of the PBMC signature reported by Kaizer et al , signatures induced by the plasma of established diabetic patients >10 years post diagnosis were more similar to those of unrelated healthy controls lacking a family history of autoimmunity, suggesting that (1) our recent-onset signature is related to active autoimmunity, and (2) established type 1 diabetes is immunologically quiescent relative to the immediate post-onset period. In our study we longitudinally analysed pre-onset samples from individuals who progressed to diabetes, and found that the signature associated with recent-onset type 1 diabetes preceded both the development of autoantibodies and clinical diagnosis by as much as 5 years . Consistent with these observations, Jackson et al observed that type 1 diabetes plasma also induces a proinflammatory, IL-1 biased signature when using cultured human islets as the responder population . Given their common IL-1 bias, we compared the reported 46 transcript signature induced by the plasma of patients with juvenile idiopathic arthritis  to that induced by type 1 diabetes plasma samples. While sharing some identity, the signatures were found to be distinct . We have also applied this approach to H1N1 influenza, bacterial pneumonia, and cystic fibrosis with airway Pseudomonas aeruginosa colonisation , and have identified specific, mechanistically informative signatures for each disease state. Our group has also used plasma-induced transcription to investigate immune states within type 1 diabetes families (i.e. siblings of type 1 diabetes probands) and how these temporally change with either progression or non-progression to diabetes. Siblings of patients with type 1 diabetes have an estimated 6% probability of developing diabetes and the majority of those who progress will possess a high-risk DR3 and/or DR4 HLA haplotype [11, 82]. Therefore, we cross-sectionally examined patients with recent-onset diabetes, their healthy autoantibody-negative siblings who either possessed or lacked DR3 and/or DR4 HLA haplotypes (termed high-risk siblings [HRS] or low-risk siblings [LRS], respectively), as well as uHC . While the plasma of patients with recent-onset diabetes induced a distinct signature relative to that of the LRS, HRS and uHC, the signatures of these healthy cohorts were also distinct from one another. Expectedly, the recent-onset diabetes and HRS cohorts possessed the most similar signatures, in accordance with their overlapping HLA-determined susceptibility. We predicted that given the low genetic risk of the LRS, this cohort would be most similar to the uHC, but, surprisingly, the signatures of these two cohorts were most distinct. Notably, the LRS signature exhibited the most robust induction of innate inflammatory transcripts (e.g. IL1B, CCL2, CCL3, CCL7, CXCL1, CXCL2, CXCL3, CD14 and TREM1). Pathway analyses revealed a continuum of immune states across the four cohorts. Relative to the uHC, an elevated, partially IL-1 dependent inflammatory state was present in patients with recent-onset type 1 diabetes and their unaffected siblings. This familial inflammatory state displayed greater evidence of being immunoregulated among the HRS compared with the LRS, as the HRS signature exhibited more robust induction of IL-10/TGF-β –dependent transcripts (e.g. TGFBR2, SMAD9, SMAD5, SKI, SKIL SMURF1, SMURF2, FCGR2B, PIAS1, CASP8, and LGALS3). This observation suggests that among HRS, where possession of high-risk HLA haplotypes increases the likelihood of an adaptive response and diabetes progression, immunoregulatory mechanisms are more active. The plasma of patients with recent-onset type 1 diabetes (ROT1D) induced signatures intermediate between those of LRS and HRS, such that inflammation decreased and regulation increased across the LRS → ROT1D → HRS → uHC continuum. The dependencies of this continuum on IL-1, IL-10 and TGF-β were validated through in vitro studies whereby co-cultures were spiked with either cytokines or receptor-blocking antibodies . Multiplex cytokine analyses of LRS, HRS and patients with recent-onset diabetes failed to detect differences among these three type 1 diabetes family cohorts; however, significantly elevated levels of IL-1α, IL-12p40, CCL2, CCL3 and CCL4 were detected in the diabetic patients and their healthy autoantibody-negative siblings relative to the uHC . While plasma-induced signature analysis was able to differentiate the four cohorts, the selected 25-plex ELISA was not, highlighting the ability of the bioassay to capture the combinatorial effect of the plasma-borne factors. Consistent with several of the aforementioned direct blood-based transcriptomic studies [64, 65, 72], plasma-induced transcriptional analyses support the existence of a partially IL-1-dependent innate inflammatory state in type 1 diabetes families that is consistent with PRR ligand exposure (in particular, bacterial endotoxin exposure) and nuclear factor-κB activation, but independent of HLA haplotype, autoantibody status and diabetes progression. This is further supported by other studies using more traditional approaches. Although results have been inconsistent as regards peripheral cytokine and chemokine levels in type 1 diabetes—perhaps because of the common practice of using healthy siblings as controls instead of unrelated individuals—elevated peripheral levels of IL-1 have been reported in diabetic individuals [83, 84, 85]. Furthermore, compared with controls, leucocytes from diabetic patients and their family members exhibit elevated responsiveness, as evidenced by the liberation of higher levels of IL-1 upon mitogen stimulation in vitro [84, 85, 86, 87]. Both type 1 diabetic patients and their family members have quantitatively fewer peripheral dendritic cells than healthy controls, but produce more IFNα in response to Toll-like receptor-9 stimulation than controls . Furthermore, global serum-based proteomic analysis of type 1 diabetic patients and unrelated healthy controls has provided corroborating evidence of an innate inflammatory state associated with autoimmune diabetes . We have also used plasma-induced transcription to temporally study the extracellular milieu of healthy siblings of diabetic patients during progression or non-progression to type 1 diabetes . These studies were facilitated by the development of a gene ontology-based scoring algorithm to quantitatively capture overall changes in immune balance. Since the regulated transcripts identified in the cross-sectional studies could be broadly annotated as being ‘inflammatory’ or ‘regulatory’, we quantitatively scored signatures with a composite inflammatory index (I.I.com) determined by calculating an average ratio of the mean log intensity of the inflammatory genes vs the mean log intensity of the regulatory genes . Among those HRS and LRS progressing to type 1 diabetes, we consistently observed temporal increases in inflammatory activity with coincident reductions in regulatory activity, resulting in overall increases in I.I.com  (Fig. 1a, d, g, j). However, this crescendo was not linear, but, rather, was observed to have fluctuations, possibly representing the flares and remissions that have been postulated in type 1 diabetes . Perhaps expectedly, an increase in inflammatory bias was observed in association with, or prior to, the detection of autoantibodies. Notably, the opposite was also observed, with increases in regulatory bias being associated with decreases in the number of detected autoantibodies (Fig. 1b, e, h, k). Longitudinal analysis of persistently autoantibody-negative HRS revealed temporal decreases in the induction of transcripts annotated as inflammatory, and increases in those annotated as regulatory (Fig. 1c, f, i, l). Accordingly, this was reflected by overall decreases in I.I.com. These data indicate that HRS who do not progress to type 1 diabetes temporally regulate the familial inflammatory state, suggesting the possibility of age-dependent alterations in the functional status of regulatory T cells (Tregs). Indeed, we have shown a significant correlation between decreased inflammatory bias and an increased percentage of activated Tregs over time in HRS non-progressors. This inverse correlation was not significantly observed in LRS. Taken together, these data suggest that the innate inflammatory state present in type 1 diabetes families is more actively regulated in an age-dependent manner and in the presence of high-risk HLA haplotypes, offering mechanistic insight as to why human autoimmune diabetes susceptibility declines with age . Other studies have also provided evidence of active homeostatic mechanisms that counter-regulate the inherited risk of progressing to type 1 diabetes. Some diabetes family members never progress to clinical onset of type 1 diabetes, despite the development of autoantibodies. Furthermore, in first-degree relatives of diabetic patients lacking autoantibodies the balance of inflammatory and regulatory T cells is intermediate to that in patients with recent-onset type 1 diabetes and unrelated healthy controls . The capacity of a given individual to manage the familial innate inflammatory state and successfully maintain tolerance to islets is likely to stem from inheritance of variable combinations of genetic predisposition in concert with a lifetime course of environmental events, including viral infections, diet and the gastrointestinal microbiome [17, 18, 92]. Serum-based proteomics also promises new insights into the pathogenesis of type 1 diabetes , but its use is limited by the wide range of physiological levels of proteins, the multiple functions of a given protein in common cellular pathways and the significant proteolytic processing and post-translational modifications of protein precursors. Despite these limitations, the sera from type 1 diabetic patients showed higher expression of inflammatory mediators such as C-reactive protein and serum amyloid A, adiponectin and insulin-like growth factor binding protein 2, but lower expression of TGF-β and myeloperoxidase compared with the sera from healthy controls . Using liquid chromatography–mass spectrometry and a validation strategy that used proteolytic peptides as surrogates for candidate proteins, Zhang et al confirmed that the expression of 24 proteins involved in innate inflammation and complement cascade activation is altered in sera from type 1 diabetic patients compared with controls . More recently, longitudinal serum proteomic profiles have been measured in children with a genetic risk of developing diabetes to establish changes associated with seroconversion and progression to clinical onset . In this study, children progressing to onset had distinct proteomic profiles, perhaps offering an adjunctive means of predicting type 1 diabetes beyond autoantibody titres. Direct proteomic analysis of endocrine and exocrine pancreas tissues has identified protein panels that are uniquely regulated in autoantibody-positive individuals and type 1 diabetic patients . Furthermore, these analyses were able to differentiate between type 1 diabetes and type 2 diabetes, providing a foundation for studies aimed at evaluating pancreas-specific proteins in peripheral blood samples that may serve as biomarkers for the early detection of type 1 diabetes . Circulating miRNAs, which are small, noncoding RNA molecules that negatively regulate protein expression at the post-translational level, have also been studied as potential biomarkers in autoimmune diseases (reviewed in ). Distinct circulating miRNA profiles have been measured in children recently diagnosed with type 1 diabetes vs controls and identified miRNA linked to apoptosis and beta cell function . In addition, the miRNA expression profiles of PBMCs of type 1 diabetic individuals have been reported to be distinct from those of PBMCs of healthy controls . The application of miRNA profiling to those at risk of developing type 1 diabetes has yet to be reported. Methylation is a means of silencing genes, and beta cell-derived demethylated insulin (INS) DNA in serum or plasma has been investigated as a valuable biomarker of beta cell death. Elevated circulating levels of beta cell-derived unmethylated INS DNA (relative to methylated INS DNA) have been shown to be reflective of beta cell death and new-onset type 1 diabetic patients exhibit higher circulating unmethylated INS DNA than healthy controls . This approach has since been technically refined and applied to additional patient and control cohorts [100, 101], including studies of the pre-onset period, during which elevated levels of unmethylated INS DNA were detected. In a clinical trial setting, decreases in unmethylated INS DNA levels were associated with improved beta cell function as measured by stimulated C-peptide in patients with new-onset diabetes who were receiving anti-CD3 monoclonal antibody . These findings suggest that measurement of unmethylated INS DNA may have utility in monitoring the efficacy of therapeutic interventions. The findings of studies that used these blood-based approaches both support and augment our working models of the pathogenesis of diabetes (Fig. 2). Many studies have now identified an elevated inflammatory state associated with type 1 diabetes [64, 65, 67, 70, 72, 78, 81, 84, 87] that is consistent with a genetically controlled hypersensitivity towards and/or an increased exposure to PRR ligands potentially mediated by microbiome alterations and intestinal hyper-permeability. This may indeed be the susceptible state as proposed by the ‘fertile field hypothesis’, whereby interactions with microbes induce a condition primed for the triggering of autoimmunity . Among individuals at risk of developing type 1 diabetes, studies have identified age-dependent endogenous regulatory mechanisms that counter-regulate the familial innate state, reflected in part by our observations of temporal increases in the percentage of activated Tregs in the HRS who do not progress to clinical onset of diabetes . Viral infections may further elevate the inflammatory state, especially early in life before the establishment of a robust regulatory compartment, allowing for the activation and expansion of autoreactive T cells . Relevant to the reports of transient IFN signatures [61, 68] and the temporal fluctuations observed in our longitudinal plasma-induced signature analyses  (Fig. 1), exposure of Tregs to inflammatory inputs can impair their suppressive capacity [104, 105]. Thus, in addition to genetic variation and the endogenous innate state, additional inflammatory signals, such as those mediated by viral infections, especially in younger individuals, may impair compensatory regulatory mechanisms and promote autoimmunity. This scenario is modelled by the BioBreeding (BB) DR rat, which, similar to siblings of type 1 diabetes probands, exhibit an underlying innate inflammatory state with temporally induced immunoregulatory processes [79, 106]. 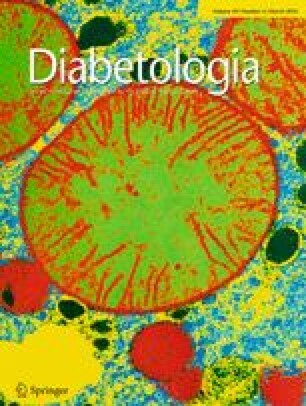 BBDR rats are not spontaneously diabetic, but autoimmune diabetes can be triggered in young animals by immunological perturbations that include viral infection (reviewed in ). Our studies show that the susceptibility of BBDR rats to virally triggered diabetes declines with age and is coincident with the temporal acquisition of an IL-10- and TGF-β-mediated immunoregulated state [77, 79, 106]. In humans, prevention of type 1 diabetes will be fostered by the accurate prediction of those who will progress to onset and the development of therapies that can reinforce the default protective regulatory response. Autoantibodies were first described in type 1 diabetes over 40 years ago , and after decades of refinement they are the best biomarker of future clinical onset. However, they have limitations in revealing the timing of disease onset. Compared with autoantibody measurements, the application of systems-based approaches to type 1 diabetes is in its infancy, yet it holds the promise of identifying new biomarkers to augment autoantibodies. Blood-based signatures may be useful not only in predicting and staging the progression of diabetes, but also for monitoring changes in the islet-specific immune state during therapeutic interventions  and serving as surrogate outcomes to shorten the duration of clinical trials. Going forward, it is to be expected that these systems-based phenotypic measures will be tied to genetic and epigenetic data, fostering an even deeper understanding of processes that govern the pathogenesis of type 1 diabetes. The authors thank Rhonda Geoffrey, B.S., Shuang Jia, M.S., Mary Kaldunski, B.S., and Joanna Kramer, B.S. within the Department of Pediatrics, The Medical College of Wisconsin, for data preparation. The work was supported by The Juvenile Diabetes Research Foundation International (grants 5-2012-220, 17-2012-621, 2-SRA-2015-109-Q-R to MJH); American Diabetes Association (grant 7-12-BS-075 to MJH); National Institutes of Health (grants R01AI078713, DP3DK098161 to MJH and R00DK077443, DP3DK097605, R21AI110963 to YC); The Children’s Research Institute of Children’s Hospital of Wisconsin (grants FP6477 to SMC and FP7674 to MJH); and The Children’s Hospital of Wisconsin Foundation. All authors have read and understand the policy on disclosure of conflicts of interest. The authors have no conflicts of interests to declare. SMC, YC, WAH and MJH researched, wrote and revised the manuscript. All authors approved the version to be published.